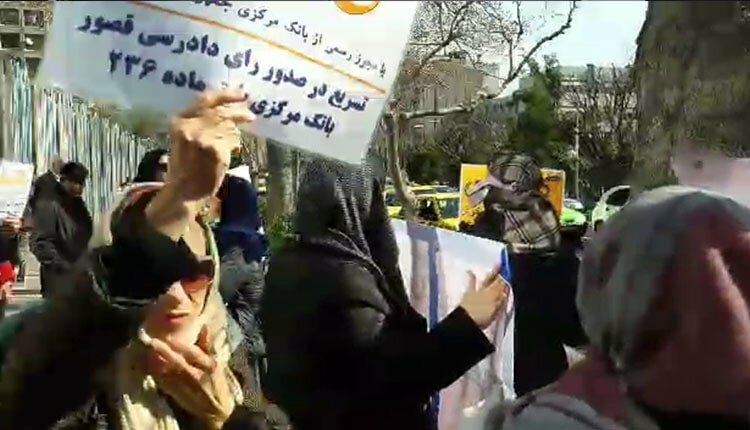 Defrauded clients held extensive protests in various parts of Tehran, Mashhad and Rasht with women playing an active role in all of them. In Mashhad, the defrauded clients of Badr Tous Credit Company gathered in protest outside the Governorate on Monday, February 4, 2019. They have held several protest gatherings to show their protests against swindling of their properties and assets by the company. In Rasht, the defrauded clients of the IRGC-backed Caspian Institute also held a passionate rally outside the company’s branch in Rasht on Monday, February 4, 2019. The all-women protest has been continuing regularly every week over the entire past year. Also on Monday, a group of customers of Azerbaijan Vehicle Industry (AZICO) held a protest outside the Ministry of Industry, Mines and Commerce in Tehran. They were furious at the high prices declared for their cars, lack of delivery of their purchased cars and the company’s failure to meet their demands. A large number of similar protests have been held in recent days against car companies. Women have actively participated in more than 900 protests across Iran from March 2018 until the end January 2019.